Featuring balconies, our standard rooms overlook Petite Cascapédia River and the lush natural setting along its banks. These comfortable, warmly decorated units are available at a very affordable price. 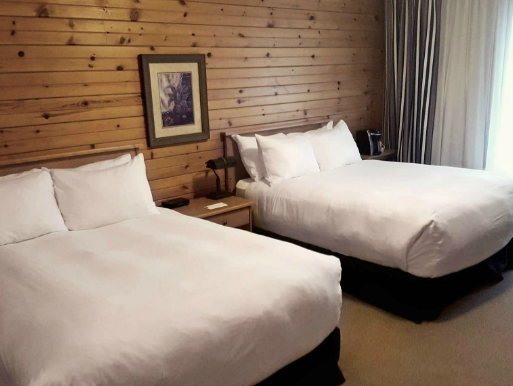 Comfortable, beautiful and functional, these rooms have been designed to offer you a cosier stay. You will appreciate their furnishings and conveniences, including a refrigerator. 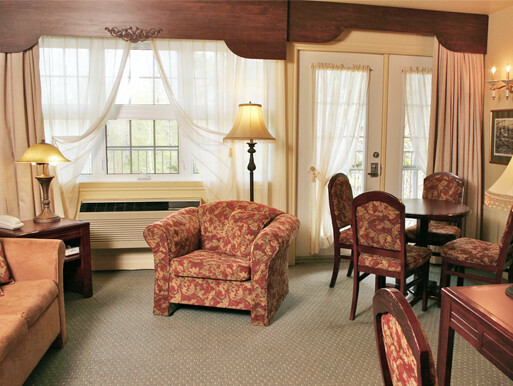 Our superior quality rooms offer you a delightful rest in an enchanting setting. Your bathroom will have a multijet shower or a therapeutic bath and you will have a fluffy bathrobe to wrap yourself in comfort. Choose one of these rooms for a luxurious stay. A true oasis of comfort and luxury, our spacious suite features a magnificent décor. The suite has a two-person therapeutic bath right in the bedroom, a living room (with a sofa bed), a table (with four chairs), a refrigerator and a balcony. 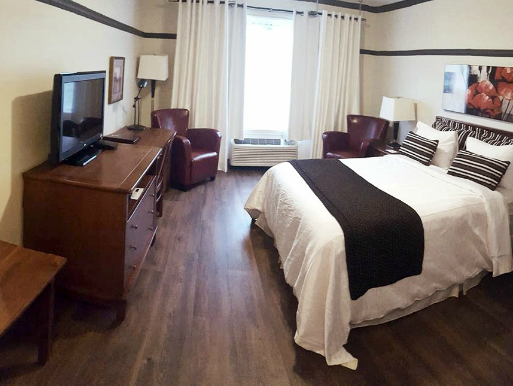 It holds a full range of conveniences to make your stay most enjoyable!